Multi-Mode Transmission, or MMT for short, is a type of sequential manual gearbox offered by Toyota and is commonly known to be fitted to the Aygo, Auris, Yaris and Corolla Verso models. The MMT comes with a conventional friction clutch and a mechanical gear selector mechanism which is controlled electronically, instead of the conventional automatic transmission which uses hydraulics and a torque converter. As many Toyota owners will be aware, this particular design has had many many complaints and common failures with the clutch and gear actuator units. If you find that the clutch or gearbox actuator has failed, many customers who have asked around regarding this issue will know that going to the main dealer will cost in excess of £700 + VAT, Labour and Programming and the new replacement will only come with the standard 12 month warranty. If you opt for a second hand part, it may work out slightly cheaper but then it will also require coding / programming which requires dealer level equipment and this will come at an additional cost with a limited 30 -90 day warranty. Keeping in mind the current issues that occur with these actuators, this could also work out to be more expensive due to risk of it failing again. This is not the full list, just the most common ones that we have received, therefore if your part number is not on there, please give us a call and we can check for you! My Toyota MMT Clutch Actuator Is Faulty – How Can SINSPEED Help Me? We’re able to fully bench test + repair the clutch actuators from most makes of vehicles and have extensive experience testing and repairing Toyota Multi-Mode Transmission Clutch Actuators. We only use new genuine OEM components when rebuilding clutch actuators to ensure that each and every rebuilt actuator meets & exceeds OE specifications. All of our remanufactured clutch actuators come with a Lifetime warranty and we guarantee no programming will be required. The unit will be returned completely plug & play! 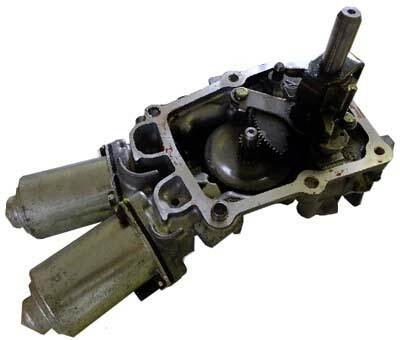 If you have a faulty Toyota MMT Gearbox Clutch Actuator and are looking for a repair or replacement of your damaged Actuator unit then give us a call today on 0844 847 9999. Tags : Toyota Auris MMT Gearbox Problems, Toyota Corolla Verso Clutch & Gear Actuator Faults, Toyota MMT Clutch Actuator Repairs, Toyota MMT Gear Actuator Repairs, Toyoto Aygo Semi-Automatic Problems. I have a toyota yaris 2006 1.4 D-4d. Also my car Slipping out of gears, Getting Stuck in Neutral, Gearbox Light On Dash. After restarting the car in 2 minutes it’s working fine until next ….slipping out. What is the solution? It’s a very common fault and one we see all the time. This type of fault can occur for a number of reasons and the most common is caused by the clutch & gear actuators. We test all units and if faulty, we remanufacture them and return them with a lifetime warranty for your complete peace of mind. I habe a 1.4 toyota yaris (automatic, diesel) and i have been told i need to replace my actuator. The gear gets stuck in neutral, sometimes fixes itself then gets stuck again. Do you have a quote for a new one or a 2nd hand one? Second-hand units will require reprogramming, which can be an additional cost and there is no guarantee how long they will last. We can remanufacture your existing unit(s) and return them to you with a lifetime warranty and ensure they are fully Plug & Play for complete peace of mind. I have a toyota corolla mmt, its sliping out of gears. Espeacially if i put it on neutral,to put ii back in easy mode is a problem. It’s a very common problem on the Toyota MMT system, where the gears will randomly slip out. We have an extensive testing procedure whereby we can test the units in all conditions through simulation. Our repair process is very thorough and not only do we repair the root cause of the fault but we also look to strengthen the units where possible. ive a toyota yaris 2010,the automatic gear get stack to nutral,when i switch off the engine and wait for a minute orso it starts shifting again,ive changed the battery a couple of mounth ago then it was fine but today the problem started again,can you please let me know the cost and time to change the actuator. Good day. I have a Peugeot 107 with Toyota MMT. I AM looking for transmission ECU repair service or trying to get a MMT ECU rebuild. Do you offee this kind of services or spares?. I have sent you an email with full information and pricing for the transmission services we offer. My Toyota (Plate 56) has semi-automatic gearbox. I already refilled gearbox oil, which helped for approx 3 weeks, then problem appeared again. Could you send me please your pricing and let me know details about repairs procedure – should I bring you a car to Greenwich or deliver you faulty part by post? I just would like to know how much will it cost? I have a Toyota Corolla verso T spirit Multi Mode Transmiasion 2005 model. For last few months i noticed having a problem. While driving or while changing gear or reducing speed, the vehicle is going back into normal mode and the ‘N’is flashing and the car does not move at all. After i Switch Engine Off And remove keys it is coming back in normal mode and ‘N’ stops blinking on the dashboard in few minutes or sometimes it is taking a long Time to come in normal mode. Having a Problem while driving in traffic thereby causing delay to other road users. Can your company help with this problem? The card drives fantastically but Except this stopping and going to normal mode is an issue. Will be looking forward to your response. If the MMT actuators or transmission ECU is faulty, we should be able to replicate that fault on the testing bench. We test all units before and after the remanufacturing process to ensure any faults are fully repaired. We then return all units with a Lifetime warranty for complete peace of mind.